The North American International Auto Show saw the introduction of some very interesting models from Acura. 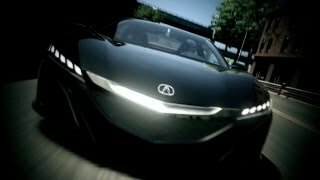 These include the ILX luxury compact sedan, a proposed model or prototype of the 2013 variant of the crossover model RDX, and the concept version of the NSX which will quite likely show the direction in which Acura is heading with its supercar. 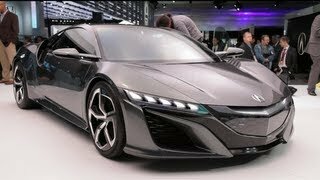 The NSX, as confirmed by Acura, will be produced in one of its Ohio plants and will be supported by Acura’s Sport Hybrid SH-AWD technology and initial development of the car will be done by the R&D wing of Honda. Top executives from Acura have made it public that they intend to launch a whole new lineup that will stir up the luxury car market. They believe that the key to this will be the unique designs that go against conventional models but are still in tune with the car manufacturer’s very own values. 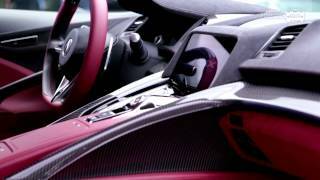 The design of the NSX Concept Car shows how Acura intends to take on the car market in the future. This high performance vehicle will effectively employ lightweight materials and will be powered by a powerful V6 engine. Moreover, the SH-AWD mechanism developed by Acura will add more sheen to the NSX. This All Wheel Drive mechanism is capable of providing the right torque to either the front or rear wheels depending on the situation, thereby easing up the handling while maintaining the integrity of the car at the same time. 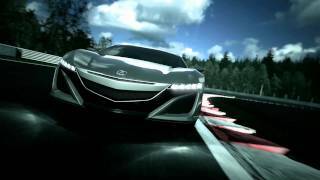 Coupled with the new V6 engine, the NSX will be all set to deliver great performance at unimaginable efficiency. The new Acura NSX is expected to hit the roads within three years and the company hopes it will take the company to new heights, just like the original NSX did, back in the 90s.